This amazing 160-page soft cover book is perfect for any outdoor lover, poster art fan, or American history buff. Our 9” x 12” full-color soft cover coffee table book includes all 59 of our National Park posters, plus 12 oil paintings, historic photos, a map of the USA, facts, travel tips, and the 100-year history of the National Park Service. 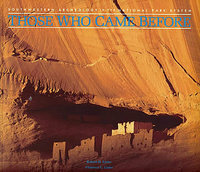 If you are going to only buy one book on Arches National Park, this is the book. It is a combination of interpretive information and photography of the best landscape photographers in the United States. A top seller at the visitor center in the park. Buy this before you go to the park to get your excited about your visit or after a visit to serve as a source of memories for years to come. Celebrate America's natural treasures with this spectacular coloring book that showcases the wonders of our land and commemorates the 100th anniversary of the National Park Service. The National Parks Coloring Book includes a foreword by Theresa Pierno, President and CEO of the National Parks Conservation Association, and features stunning line drawings that depict scenes from all fifty-nine national parks, along with illustrations of native plant and animal life and information about each park. A must-have for park fans and nature lovers of all ages. The southwestern United States is a region unlike any other, and its plethora of national parks and monuments bear that out. Here, canyons record geologic time in a tableau of color; the history of western expansion reveals itself in hundred-year old adobe walls; grand archaeological sites connect us to the ancient people who lived here hundreds of years ago; vast backcountries shelter flora and fauna found nowhere else on Earth. 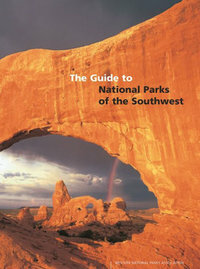 Guide to National Parks of the Southwest for anyone who yearns to explore America's greatest places. This guide covers fifty-two sites with great historical, biological, geological, or archaeological significance. Each one is different and unique; each has a story to tell. There are caves, canyons, rivers, deserts, mountains, frontier forts, Spanish churches, cliff dwellings, and million-acre wildernesses, all places of mystery and magic where the power of natural forces and human history can be directly witnessed and experienced. This stunningly beautiful, oversized (10x13) book is lavishly illustrated with breathtaking color imagery by American's leading landscape photographers. In addition to the stunning photography, the book also includes detailed maps of the park and region and insightful, heartfelt narratives detailing the park's natural and human histories. Here is the story of the Navajo who live there, the Gouldings who established the trading post, and Josef Muench who as young photographer took his very first color photo there in 1937. This 9 x 12 book is overflowing with beautiful photos and interpretive text on this National Park for your enjoyment. A 2019 Outstanding Science Trade Book for Students: K-12 (National Science Teachers Association and the Children's Book Council). Take a tour of America's great outdoors and discover the beauty and diversity of its most iconic and majestic national parks. Packed with maps and fascinating facts about the flora and fauna unique to each of the 21 parks portrayed, this lushly illustrated coast-to-coast journey documents in large format the nation's most magnificent and sacred places--and shows why they should be preserved for future generations to enjoy. Explore Florida's river-laced Everglades, travel down the white water rapids of the Grand Canyon, trek across the deserts of Death Valley, and scale the soaring summits of the Rocky Mountains with this book that brings you up close to nature's greatest adventures. Divided by region (East, Central, Rocky Mountains, West, Tropics, and Alaska), a pictographic map at the start of each section shows the locations of the parks to be covered. Each park is introduced by a stunning, poster-worthy illustration of one of its scenes and a summary of its makeup, followed by individual illustrations of the animals and plants that make their homes there. Captions provide captivating information about the wildlife. Did you know that Everglades National Park is home to marsh rabbits who paddle through its swamps searching for herbs, flowers, and other plants to nibble on? Or that the pronghorn antelope of Badlands National Park are the continent's fastest land animals, sprinting up to 60 miles per hour to escape predators like bobcats and coyotes? A "Can you spot this...?" page at the back challenges you to find a pictured critter or plant for every letter of the alphabet. The parks include: Acadia, Badlands, Big Bend, Biscayne, Bryce Canyon, Channel Islands, Death Valley, Denali, Everglades, Glacier, Glacier Bay, Grand Canyon, Great Smoky Mountains, Hawaii volcanoes, Isle Royale, Mesa Verde, Olympic, Sequoia and Kings Canyon, Virgin Islands, Yellowstone, and Yosemite. 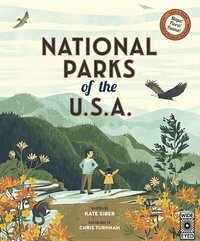 A book to be treasured by children and adults alike, National Parks of the USA serves to inspire the adventuring naturalist in all of us. Monument Valley Tribal Park contains 30,000 acres situated in the heart of the Navajo Reservation, the largest reservation in the U.S. It was set aside by the Navajo Tribal Council in 1958, establishing a preserve to maintain the old ways and to satisfy the demand of tourists who wished to visit. This postcard book includes 14 individual postcards featuring imagery of America's leading landscape photgraphers and expanded interprative captions. Contains 33 postcards of the Grand Circle, which is a 1,400 mile area encompassing the four corner states of Arizona, Colorado, New Mexico and Utah. Within the Circle are more than a dozen National Park Service areas, a Navajo Tribal Park, and many state parks and historic sites. Explore the spectacular 900 - mile circle around Lake Powell, including 15 national park areas, as well as state parks, historical sites, and Monument Valley Navajo Tribal Park. An essential reference for anyone interested in southwestern archaeology, Those Who Came Before is a substantially revised and expanded overview of the legacy of prehistoric cultures of the American Southwest, as preserved and interpreted by the National Park Service in more than 37 sites. It includes duotone photos from the George A. Grant Collection plus a color portfolio by George H.H. Huey. It also comes with a companion DVD! Travel back in time and place to experience the grandeur and history of 24 of our most spectacular National Parks “then and now”. From the depths of the Grand Canyon to Yosemite valley, from the shorelines of Acadia and Olympic to Yellowstone’s geysers, join photographer Paul Horsted as he discovers the sites where pioneering photographers set up their cameras long ago. In precisely-matched photo pairs you’ll see the beauty and history of our parks as they appear now and as they looked 75, 100, or even 150 years ago. GPS data is provided to guide you on your own National Park adventure! This beautiful book is an invaluable record of our parks for today, as well as a future reference for anyone who cares about these treasured landscapes. This 240-page, oversize 11x12-inch book is beautifully designed, printed in full color, and includes more than 170 "then and now" images of 24 of our grandest National Parks.